Tambli is a speciality dish from Karnataka. It is similar to the pachadi made in Tamilnadu. It is actually derived from the words "Tampu Huli" in Kannada,which means cold gravy. 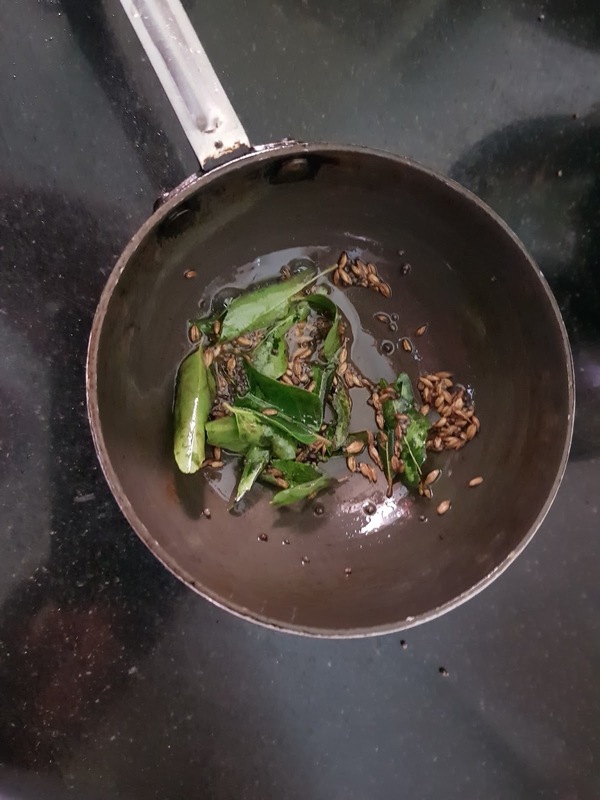 Tambli can be made with palak, drumstick leaves, onions, curry leaves, coriander leaves, ginger, bell peppers/capsicum etc. This is a simple Onion Tambli recipe which can be made as an additional recipe with potato curry or papad for a "lazy day" or "no vegetables/hardly any vegetables at home" day. We used to love having this with rice during hot summer days. I am sure everyone will love this simple and healthy recipe. 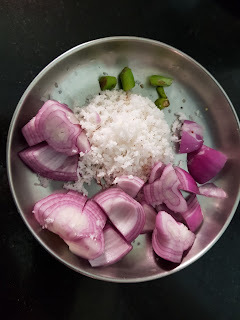 1) Grind together onion, coconut and green chilli to a fine paste. 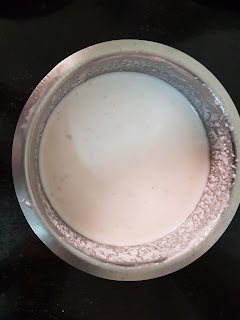 2) Mix this paste with curds and add water as per your requirement. Add salt as per taste. 3) Heat oil in a small pan, add mustard seeds and cumin seeds. When they start spluttering, add curry leaves. 4) Add this to the tambli mixture and serve with steamed rice.